Tax Preparation, Payroll & Accounting doesn’t have to be a challenge. Our team of professionals at Rodenz Accounting and Tax Services has the knowledge and skills to help you find the right approach to your bookkeeping, tax and financial needs. With accounting and tax preparation experience since 1974, Rodenz Accounting and Tax Services continuously drives to insure that you receive accurate, impartial and professional services. 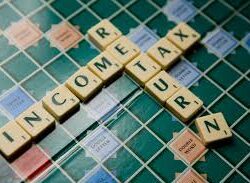 Contact us to discuss your income tax and accounting needs. We encourage you to call, email or stop by at our new location, with any questions or concerns you might have about your individual or business needs. For many companies, large or small, preparing payroll takes time and money. When you want to reduce expenses and free up time, contact Rodenz Accounting Services, and our team will prepare your payroll with ease and precision. Rodenz Tax Services offers our services to clients all across Minneapolis/St. Paul and the surrounding areas. We’re the first place to go when you want to get your forms completed thoroughly and accurately so that you can file the most beneficial return possible. When you choose Rodenz Accounting an Tax Services for your financial decisions, we guarantee trustworthy and reliable assistance. Since we are a locally-owned service, our team is dedicated to help your business prosper.